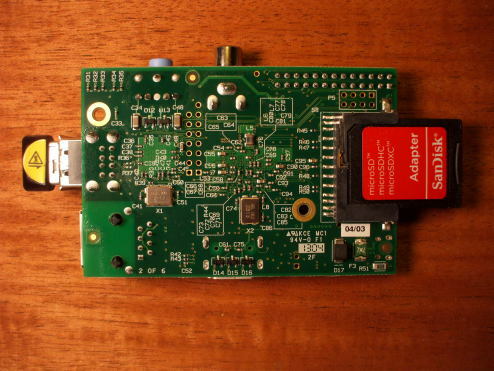 The Raspberry Pi is a small single-board computer. It runs a variety of operating systems, most prominently several Linux distributions and Linux-derived systems including Android, Firefox OS and Google Chrome OS, as well as RISC OS, FreeBSD, NetBSD, Plan 9, Haiku and AROS. It costs just US$ 35 and is capable of a great deal for such a small package. "[T]he lack of programmable hardware for children — the sort of hardware we used to have in the 1980s — is undermining the supply of eighteen-year-olds who know how to program, so that's a problem for universities, and then it's undermining the supply of 21 year olds who know how to program, and that's causing problems for industry." 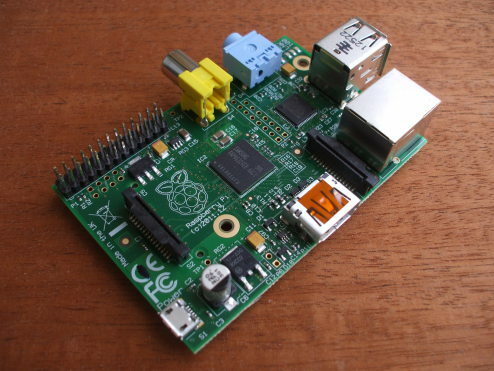 The Raspberry Pi is manufactured and sold online by Newark element14 in the US, RS Components in the UK, and Egoman in Taiwan. Egoman's version with a red circuit board without the FCC/CE marks is distributed solely in China and Taiwan. 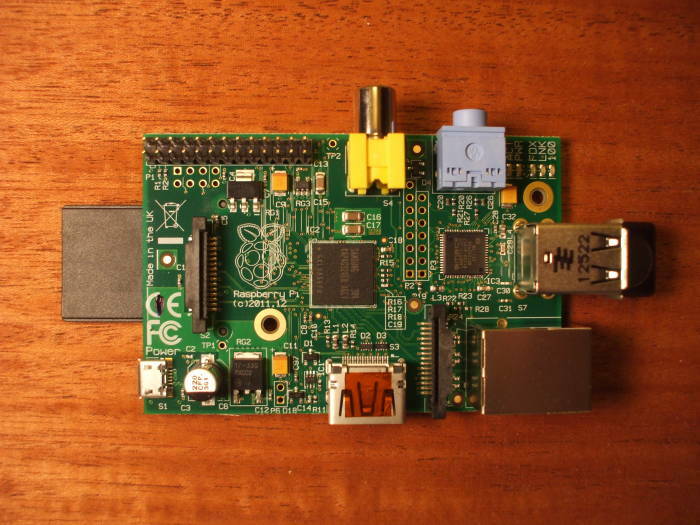 The Raspberry Pi 1 had a single-core ARM1176JZF-S processor. 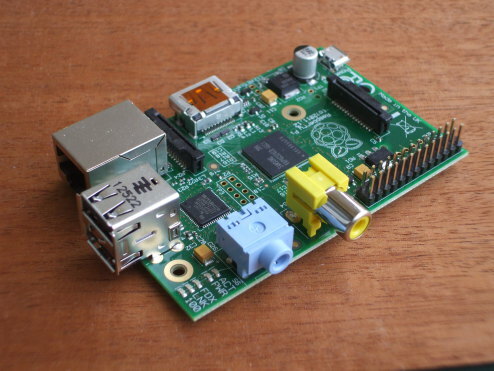 Early versions of the Raspberry Pi 2 had a 900 MHz quad-core ARM Cortex-A7. Later model 2 designs had a faster quad-core CPU, and the Raspberry Pi 3 had a faster one yet. The Raspberry Pi board measures 86 × 54 mm, just a little too large for an Altoids Tin, and it is powered by a smart phone charger supplying 5 V DC at up to 700 mA. 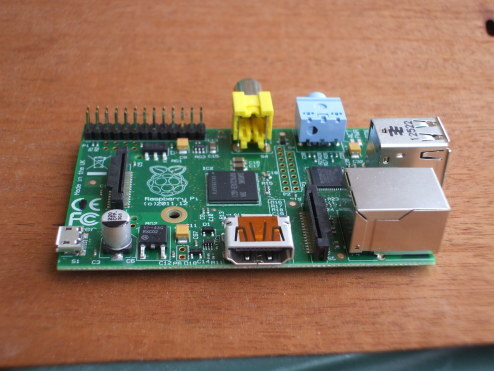 The Raspberry Pi model 1 system was based around the Broadcom BCM2835 system on a chip (or SoC), which was designed as a cost-optimized, full-HD, multimedia applications processor for mobile and embedded applications. This includes a low-power ARM1176JZ-F processor running at 700 MHz and a dual-core OpenGL-ES VideoCore IV GPU or multimedia co-processor. 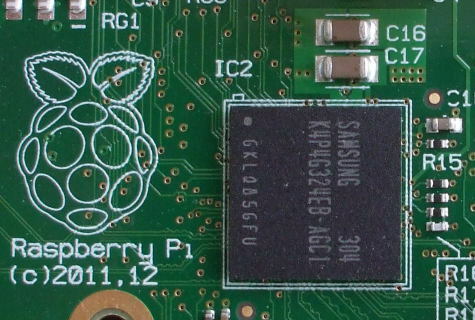 The Raspberry Pi 2 and 3 used a Broadcom BCM2837 SoC and a BCM2837B0 SoC, respectively, with a 1.2 GHz (model 2) and 1.4 GHz (model 3) 64-bit quad-core ARM Cortex-A53 processor with 1 GB of RAM. That provides the model 3 with about 10 times the performance of the Model 1. A number of low-level peripherals are also available, including eight GPIO lines, a UART, an I2C bus, and SPI bus, and I2S audio. IC2 is the SoC and RAM. It's the large module (12.5×12.5 mm) in the center of the board, behind the yellow RCA connector. The Samsung SDRAM is stacked on top of the Broadcom BCM2835 SoC. IC3 is the combined USB and Ethernet controller. It's the chip between the blue audio connector, the USB connector and the Ethernet connector. Let's ask the kernel to examine the CPU on an old model 1. 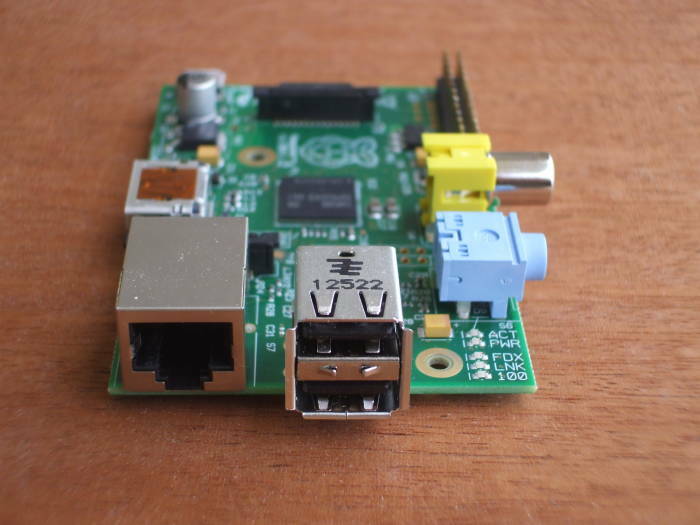 Would the Raspberry Pi be a good platform for tasks like password cracking, rainbow table construction, or Bitcoin mining? No, not especially. It can do those things, but it can't do them fast enough for it to make much sense to use this platform for any of those tasks. I have a simple program that starts with a 20-byte array filled with zeros. That is, a 160 bit array of zeros. That is used as the input to the SHA1() OpenSSL library call. The return value is then used as the input to the next call, repeating this cycle 100,000,000 times. The clock() function is then used to determine the CPU time used by the process, and that time plus the input and output of the last SHA-1 calculation are printed. The CPU can be overclocked to 1000 MHz, but the result is still much slower than a typical IA32/IA64 CPU. Dell is working on an ARM-based supercomputer, but not in the form of a Raspberry Pi array! Also compare these hash rates to those of typical Bitcoin mining hardware. The BogoMIPS estimate found in /proc/cpuinfo seems pretty useful. The desktop reports 6831.31 while the Raspberry Pi reports 464.48. That's a ratio of 1:14.7074 while the SHA-1 timing ratio is 1:16.5384. Along these same lines, the BOINC client can be installed on the Raspberry Pi. However, it won't accomplish but a tiny fraction of one core on a typical desktop, and few of the BOINC projects have ARM packages to be run. IC2, the large module in the center of the board, is the SoC and RAM. The Samsung RAM is stacked on top of the Broadcom SoC. But the Raspberry Pi is still very useful for security related tasks! Password cracking is very CPU intensive, and rainbow table construction and Bitcoin mining even more so. I only measured its SHA-1 calculation speed because I had seen people asking these questions on line. 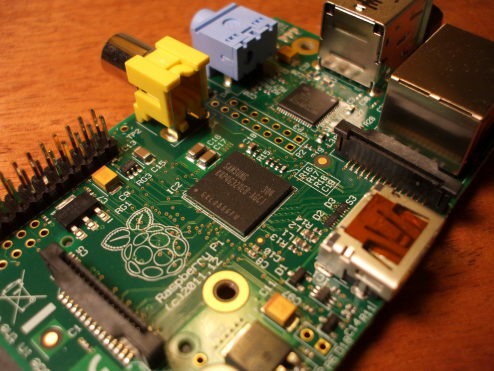 A Raspberry Pi does, however, make a very nice platform for tasks like hash harvesting and network intrusion detection! It can also be a nicely compact and portable OpenVAS scanner. Are any more CPU details easily found? The RAM is shared with the GPU. You can configure how much is reserved for the GPU with the interactive raspi-config tool. The rest is available for processes and the kernel itself, including its file system I/O buffering. We will examine the networking hardware here. See the networking page for the details of configuring the Raspberry Pi for both wired Ethernet and 802.11i, or 802.11 WLAN with WPA2 security. IC3, located just behind the USB connector, is the SMSC95xx / LAN9512 combined USB and Ethernet controller. The on-board Ethernet is actually a built-in USB Ethernet interface combined with the USB controller. The Ethernet controller appears as device number 3 on USB. In the following output you will see that I have also plugged in an ASUSTek USB 802.11n interface. Firmware is stored in the /lib/firmware directory. [    5.028951] r8712u: module is from the staging directory, the quality is unknown, you have been warned. [    6.956936] r8712u: Loading firmware from "rtlwifi/rtl8712u.bin"
A micro USB cable connected to something like a smart phone charger provides power. Even for the old Model 1 units you need a charger module that can provide a solid 1 A or 1000 mA. You need a quality SD memory card. Or, much more likely, Micro SD in an SD adapter. You will need a bare minimum of 2 GB of flash storage for the bootable OS, but you will probably want at least 8 GB. Download the Raspbian OS image, unzip it, and write the resulting *.img file onto the flash card using the dd command on Linux or OS X. At your first boot, df will show that your disk is just 2 GB in size because you're using the 2 GB image. 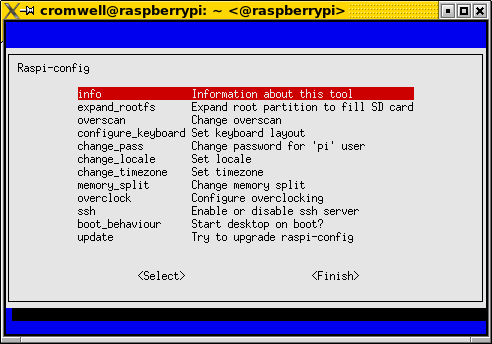 If you are using the Raspian image, you can use the interactive raspi-config tool and select the expand_rootfs option to expand the file system to fill the available space on the device. You can do this manually using an image without the raspi-config tool. For example, the Fedora-based Pidora. Here is what we see with a 2 GB Pidora image installed with dd on an 8 GB MicroSD chip. The root file system is 100% full, but it is in a partition that can be expanded to fill the rest of the disk. Notice that it has 15,564,800 sectors but only the first 4,322,960 are in use. Let's manually expand it that second partition. Command input is in bold and a blue box indicates where you simply press <Enter> to accept the default. Notice that the second partition has grown from 2,065,769 (plus a fraction) to 7,730,176 blocks, and the sectors in use extend to the end of the disk. I tried using partprobe to force the kernel to detect the new partition table, but it wouldn't as it involved the partition holding the root file system. Reboot to continue. Now you can grow the root file system to fill the larger partition. Performing an on-line resize of /dev/mmcblk0p2 to 7730176 (1k) blocks. The filesystem on /dev/mmcblk0p2 is now 7730176 blocks long. The HDMI connector is at the center of one long edge of the card, the bottom if you use align the card so the Raspberry Pi logo is upright. The Micro USB connector providing the power is then at the lower left. It is for power only, the +5 V and ground lines are connected but the data lines are not. This is a Model 1 B, with one 10/100 Mbps Ethernet port and two USB ports. If you need to use more than two low-power USB devices, or any device that needs more than about 100 mA of power, or if you need to support hot-plugging, use a small powered USB hub. Analog audio output is provided through a 3.5 mm jack, seen here with a light blue body. Composite video (PAL and NTSC) output is provided through an RCA connector, seen here with a yellow body. The GPIO and other I/O pins continue along the edge of the board from the analog video connector to the corner. This is a 2x13 pin 2.54 mm header expansion. The platform has neither of these, so lspci fails as there is no /proc/bus/pci to read. Without a BIOS, dmidecode has nothing to do and isn't built for the ARM platform.